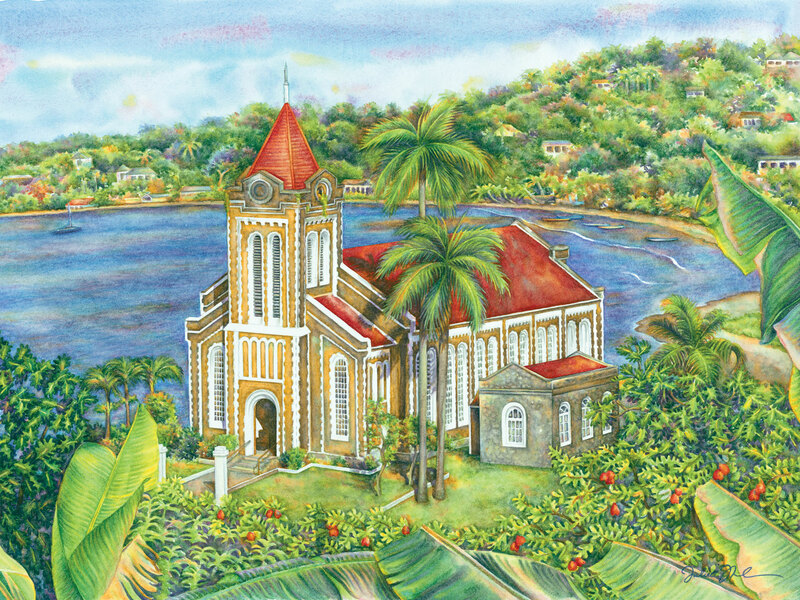 The town of Port Antonio in Jamaica where Christ Church is located is as picturesque as the church itself. The town lends a perfect backdrop to the church and the church glistens like a jewel from every angle that it can be viewed. And the angle that I chose to paint it from gave me the advantage of including more “jewels” such as the sea, the foliage and the hills in the background to surround the church with. I ended up having even more fun painting this church than I would have imagined. This is a limited edition of 50 giclée prints on watercolor paper. The original painting has not been sold.